This is fantastic. 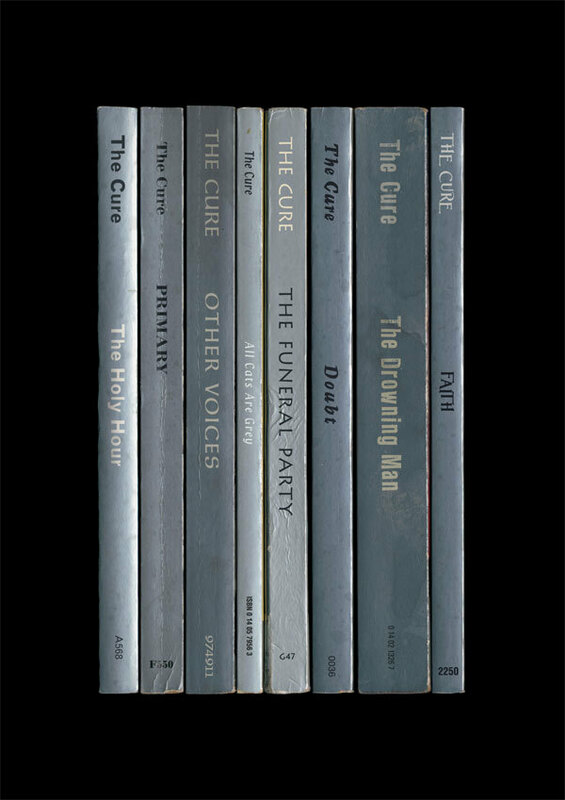 Standard Designs produce prints depitcting short rows of books, where the books are tracks on an LP. 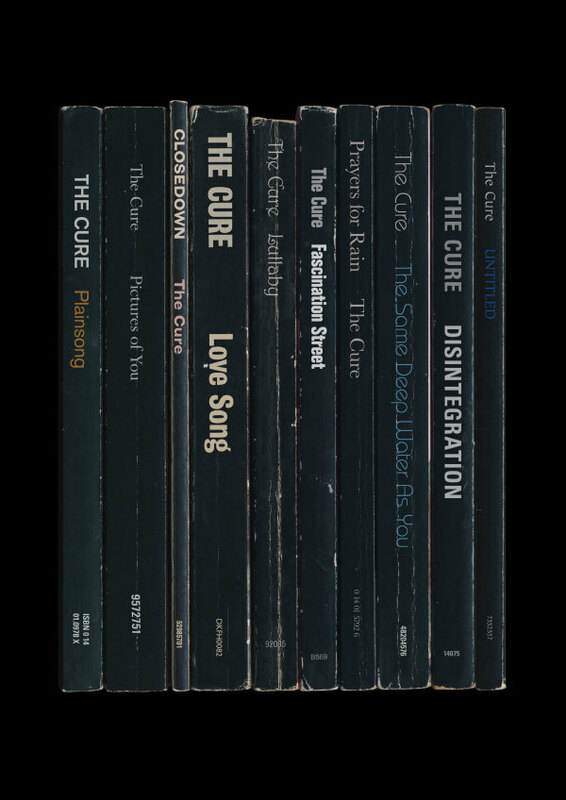 They have just done the Cure LPs Faith (above), Disintegration and the Head on the Door (both below). The prints are £15 plus £5 or so postage. 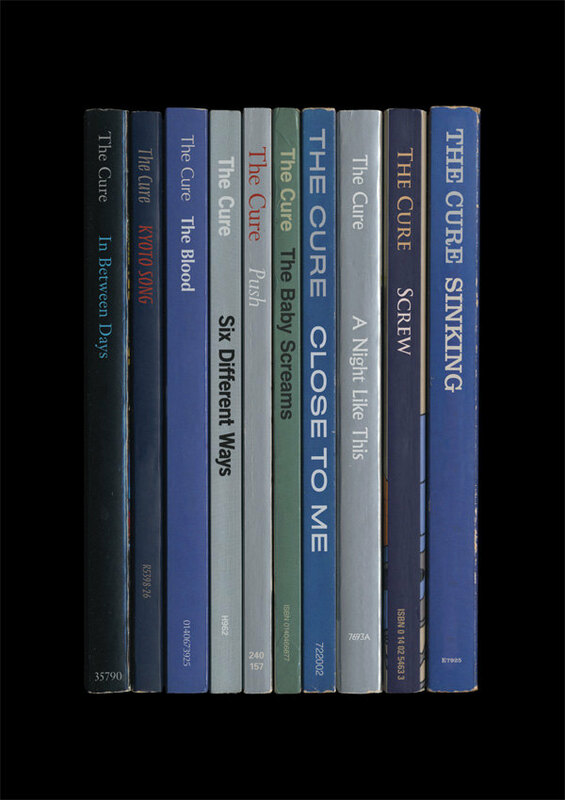 via Chain Of Flowers: Cure albums as books.